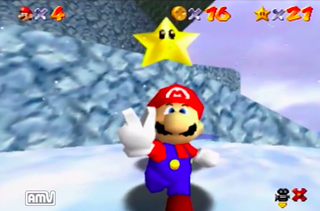 There's a new world record for getting all 120 stars in Super Mario 64 quickly—and it's kind of amazing that it happened at all. According to Speedrun.com, the previous record was held by puncayshun, in a run that clocked in at 1:42:32. This new run by nero is an improvement by seconds, but that's all it takes! EDIT: The headline originally read as 'Guy Breaks Super Mario 64 World Record By Accident.' Some people expressed worry that this downplayed the hard work of speedrunners, instead of conveying the idea this record happened during a casual race. We've tweaked the headline, because that is not our intention.